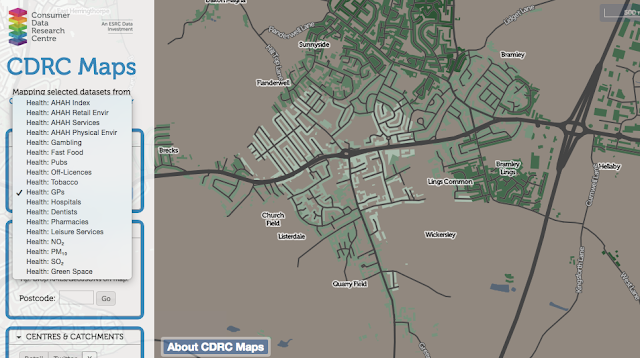 Thanks to Alasdair Rae for the tipoff to a new data set which has been added to the CDRC mapping tool. It has added health data, which includes a range of data sets. These are AHAH data: the Access to Healthy Assets and Hazards. Useful data including fast food, health care, and air quality indicators.